"A gripping, nuanced story of the human cost of conflict appropriate for both children and adults." Half-Muslim, half-Hindu twelve-year-old Nisha doesn't know where she belongs, or what her country is anymore. When Papa decides it's too dangerous to stay in what is now Pakistan, Nisha and her family become refugees and embark first by train but later on foot to reach her new home. The journey is long, difficult, and dangerous, and after losing her mother as a baby, Nisha can't imagine losing her homeland, too. But even if her country has been ripped apart, Nisha still believes in the possibility of putting herself back together. Told through Nisha's letters to her mother, The Night Diary is a heartfelt story of one girl's search for home, for her own identity...and for a hopeful future. 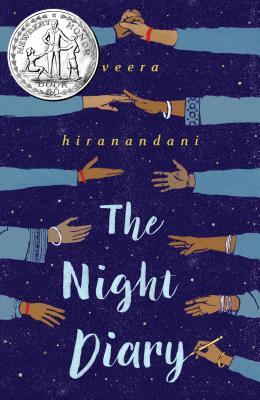 Veera Hiranandani, author of the Newbery Honor-winning The Night Diary, earned her MFA in creative writing at Sarah Lawrence College. She is the author of The Whole Story of Half a Girl, which was named a Sydney Taylor Notable Book and a South Asian Book Award Finalist. A former book editor at Simon & Schuster, she now teaches creative writing at Sarah Lawrence College's Writing Institute and Writopia Lab.